Steve Smith lives near Brighton these days, having left his Surrey hometown in the mid-1980s, initially heading to London. He returns regularly to Guildford to pop in on his Mum though, and plays locally with new wave/punk covers band The Shakespearos. That includes dates at Suburbs at the Holroyd, taking in a lunchtime haunt from my early working years, when I was ‘waiting for the weekend to come’. But that was in the late ’80s, and I can’t imagine how such a small pub is now a thriving music venue. Good plug (that’s on June 9th, with details here) for a date I was intrigued about, although it would involve a 480-mile round-trip for me. 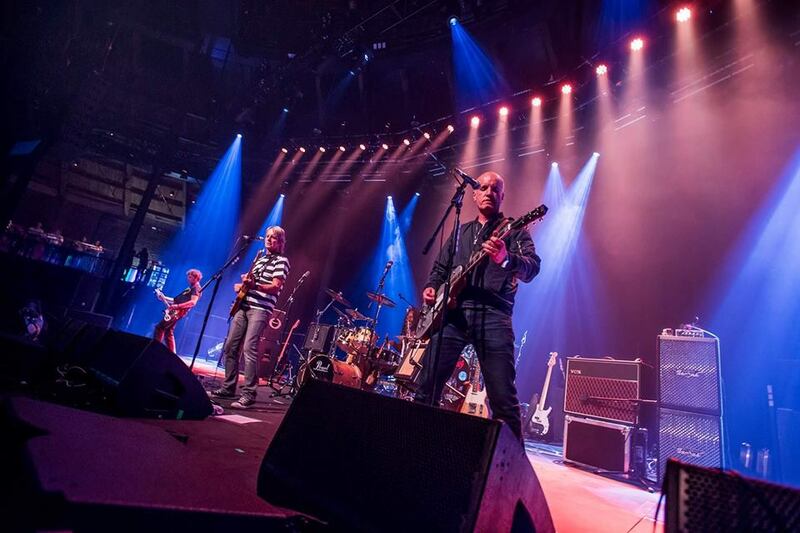 But The Vapors, the band that ensured Steve’s long career in music, pass a little closer to my Lancashire base when they start their summer schedule with gigs in Manchester, Newcastle, then north of the border in Paisley. And I’m looking forward to that June 29th opener, my first chance to see them live since a memorable Liverpool Arts Club gig in late 2016. While those past Vapors dates were more about influential early ‘80s LPs, New Clear Days and Magnets, I gather Dave Fenton is now busy writing, with the band working on new material. That’s great, because much as I love the original material, it must get dispiriting after a while when your band’s newest songs are still more than 30 years old. Not least when your other group’s a covers outfit. 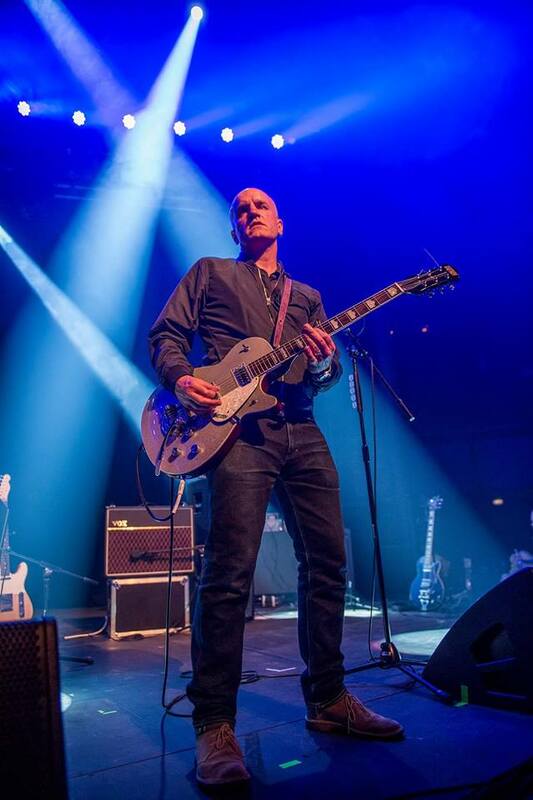 Incidentally, the guitarist in The Shakespearos is Dave Maskery, a key component of the very first band I saw live, Blank Expression, who went on to support The Jam at Brixton (mid-March ’82 at the Fair Deal, I believe). I saw them a second time in late July ’81, but that first occasion at world-renowned rock’n’roll venue Wonersh Youth Club in mid-July 1980 proved a huge moment for a 12-year-old already wallowing in punk and new wave via Smash Hits (the NME would follow) and my brother’s cassette collection. Knowing two band members (Dave was my pal Jimmy’s older brother, and I’d been in a church choir with lead singer Chris Try) suggested for the first time that the punk revolution wasn’t just something happening elsewhere. 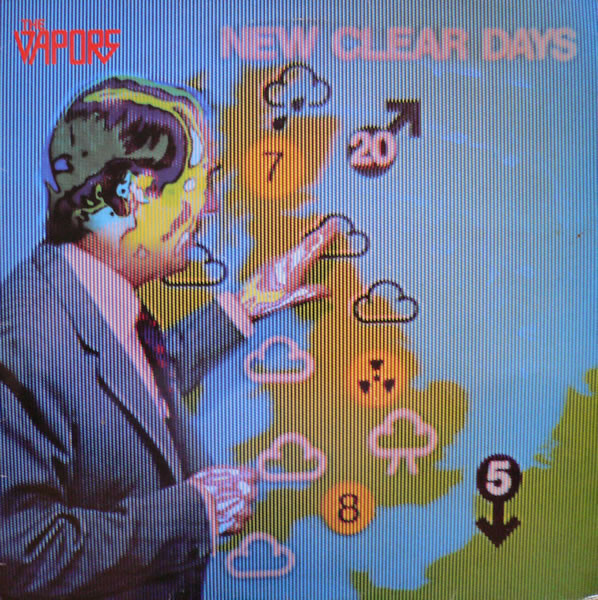 Furthermore, The Jam, The Stranglers, The Members, and The Vapors had properly put Surrey on the punk and new wave map, the latter having just released wondrous debut LP, New Clear Days. 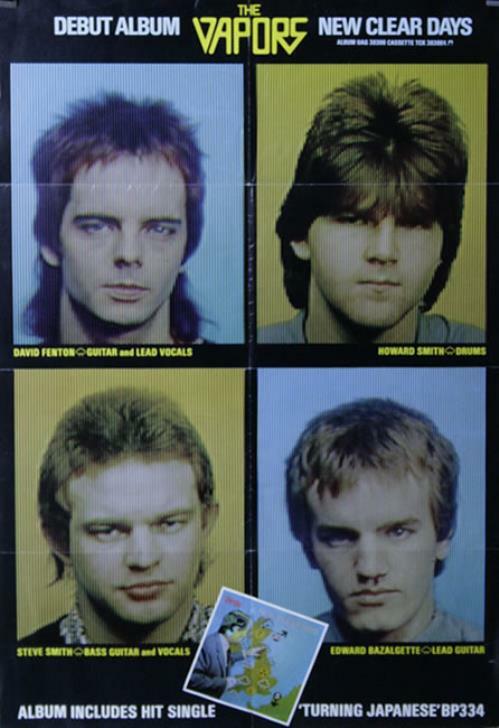 Is that right that Steve’s link with Dave Maskery and Shakespearos lead singer Duncan (aka Du Kane) initially came through the latter’s band, The Beautiful People? I missed The Vapors live first time around, but saw Steve twice with John Peel favourites Shoot! Dispute, first at a Peel Roadshow at Surrey University in late January 1984, and then supporting Jam bass player Bruce Foxton – who co-managed The Vapors with Paul Weller’s father, John – in early May that year, on his first solo tour at Guildford Civic Hall. Shoot! Dispute were definitely a band of their time, and Peelie liked them a lot. I was about to sit my O-levels when I saw them, and still have their single, featuring Gat Gun and Lack Lustre. And as Peelie said on air, they were, ‘Anything but lack lustre.’ Has Steve kept in touch with his old bandmates? I recall Shoot! Dispute’s percussionist Mark Charles and sax player Scampi in a band I regularly saw busking in Guildford High Street, Inspector Tuppence. I was a Saturday boy working at Boot’s then, gazing out of an upstairs window wishing I was there with them. 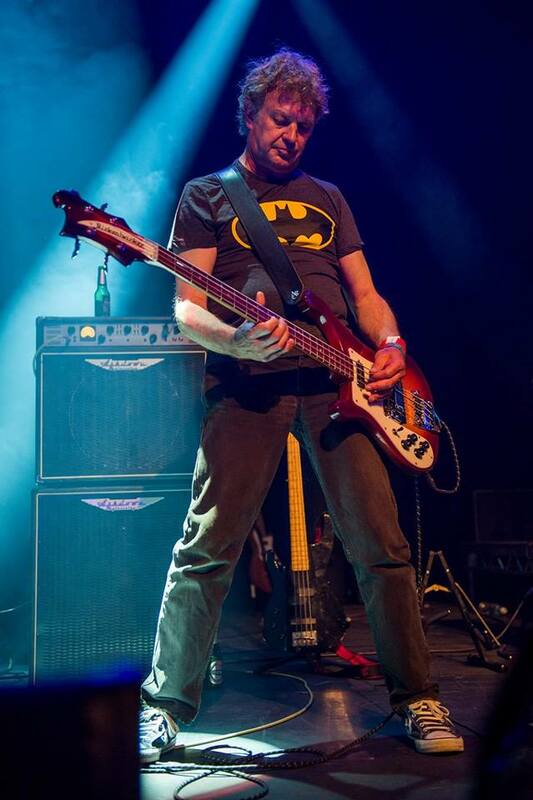 What’s more, Inspector Tuppence’s double-bass player, Jason, was a couple of years ahead of me at Guildford County School, while Steve – who has a few years on me – was at the nearby Royal Grammar School, where The Stranglers’ bass player Jean-Jacques Burnel attended before him. But not for long …. I guess you passed your 11-plus and got a scholarship. That seems to be the system this Government wants to revert to now. Steve has his own school-age children now, a 16-year-old son and 12-year-old daughter. And he reckons his son’s ‘much better than I was at that age’ on bass. While The Vapors recorded one session for John Peel (in July 1979), Shoot! Dispute recorded two in 1984. Did they properly get to meet Peelie? I wondered about that. Peel was obviously a big fan of Altered Images. I wonder if he saw Kathy’s quirky vocal style a similar way. No regrets though, I’m guessing. You had a great time. Well, that’s what it should all be about. And if you can make a living out of it, all the better. When The Vapors split in 1982, Dave Fenton returned to the legal profession, going on to specialise in music law, while guitarist Ed Bazalgette moved into television, his recent directing credits including hit BBC dramas Dr Who, Poldark, and (this June) Versailles. Meanwhile, drummer Howard Smith (no relation to Steve) worked for the PRS, going on to run an independent record shop in Guildford in recent years. He now runs People Music Promotions, putting on gigs in the South-East, and became Guildford’s Labour parliamentary candidate in 2017, adding 4,000 votes to the party’s 2015 result. But while those three shifted away from the gig circuit for a while, Steve never really left the music business. “I’ve spent about 25 years doing live sound and being in bands. I also did house engineering jobs in London – Clapham Grand; The Barfly, Camden; The Orange, West Kensington. The latter was my favourite job. I loved working there. I started there about ’92 and finished in ’98. 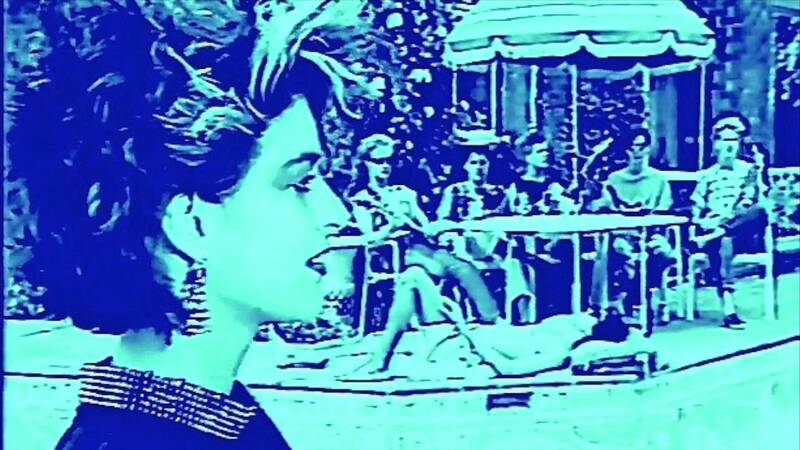 He’s also helped a few indie acts along the way, including Fad Gadget, Loop and Lush, leading me to tell him I saw the latter early on at Drummonds, Euston, supporting The Wolfhounds. I remember them being really raw, but within a couple of weeks the NME were all over them. 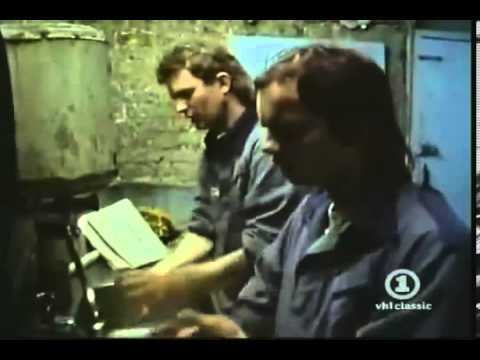 Of course, for all I’ve since learned, I still imagine his most famous band putting in a bit of overtime working in Vapors Garage overalls, as per 1980’s Waiting for the Weekend promo video. Do you know your way around cars? You look like you knew how to polish chrome and wash grease off. As it was, it was The Shakespearos who helped ensure the return of The Vapors, via Polyfest, a charity event in memory of late, great X-Ray Spex singer Poly Styrene, and a late-April 2016 cameo at Putney’s Half Moon. “It did, in a way. Mike Bennett runs PolyFest and was a producer with Trojan Records and a bit of a mover and a shaker (he also produced The Fall), and gets as many acts as he can to play a few songs. He knows us and always gets us in, to do covers and as a backing band for various people. A couple of years ago he got really on my case about The Vapors and asked me to get them down. He got at me so much that I told him I’d message them straight away, and Dave got back five minutes later, saying, ‘Yeah, definitely’. He subsequently told me he was at the pub and quite drunk when he got the message! And it’s been so great finally seeing you live after all these years. What’s more, you seem to be doing it for all the right reasons. That really shows. Steve’s personal music apprenticeship pre-dated punk, but seeing The Clash live in May ’77 proved to be the catalyst in finding his future direction. I got the impression Dave Fenton was more into the likes of Devo. 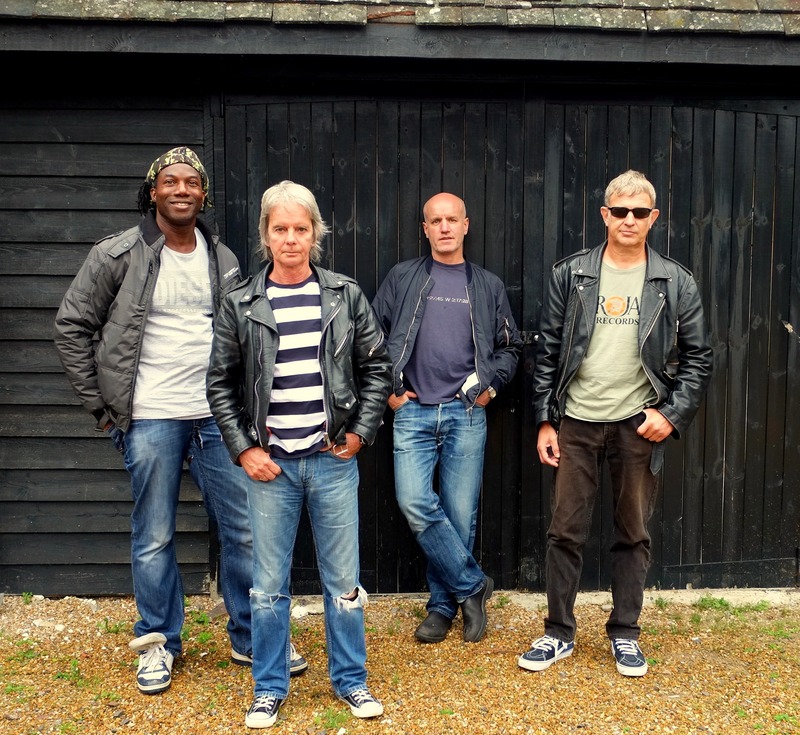 Vapors Trial: The 21st century line-up of The Vapors, with Michael Bowes, left, joining Dave Fenton, front, Ed Bazalgette, rear, and Steve Smith, right (Photo: The Vapors). How old were you when you first saw The Clash, and what were you doing at the time? “I must have been 19, and was ripe for it. I was playing in a covers band. When I was 17, working in Debenham’s, my two cousins turned up and said they were in this band, playing working men’s clubs up North. They asked if I wanted to play bass with them. At the time I was a guitar player. I told them I’d never played bass, but they told me they thought I could do it and offered to buy me all the gear. Was that your equivalent of The Beatles’ Hamburg years? And you haven’t looked back since. Dave Fenton told me he knew you were a good bass player, but you were playing drums for someone when he asked you to audition. Indeed, another of my lunchtime drinking places during my working days there. Howard Smith and Michael Bowes might take issue with that, but I take your point. 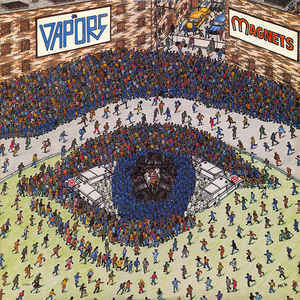 Were they already calling themselves The Vapors? And didn’t Howard have somewhere to rehearse as well? For me, that’s where the stories of Guildford’s best-known bands seem to merge. Stranglers drummer Jet Black had his off-licence, while Howard had a launderette. Are you in touch with Howard now? And he recorded Labour’s highest vote in the area since 1979 last year, at the first time of asking. Now you have Michael Bowes (who’s also worked with the likes of Nelly Furtado, Joss Stone, Tears For Fears, Heather Small, Michelle Gayle, and Laura Mvula) in his seat, and I get the impression he fits in well. So, 36 years after the initial split, it’s Dave, Ed (occasionally with Dave’s son Dan Fenton deputising), Steve and Michael, with this summer’s UK dates to be followed by three October sell-outs at New York City’s Mercury Lounge. That’s impressive, I suggest. It’s really taken off again. “It seems to have taken on a bit of a life of its own. I think it’s coincidental that we signed our back-catalogue over to an American independent label around the same time as fans over there started a funding campaign. The label saw that and realised it was a good idea to get us over, so decided to bung a bit in to make it happen. The American fans did brilliantly to raise the money they did, and the record company topped it off at the end. And this is for a bunch of white boys from South-East England. What if you were a Tijuana brass ensemble from across the Mexican border? Between our interview and publication, the last of the three New York dates sold out, with the band’s four-day schedule set to be jam-packed, the sightseeing kept to a minimum. I dare say there will be photo opportunities though. Is that right that Dan is featuring on guitar in America? Wasn’t there a previous attempt to reunite the band that didn’t quite come off? Time flies and it’s 38 years since New Clear Days was released. Yet it remains one of my favourite albums of all time. Good memories of recording that? “Really good memories. Instead of going to some dodgy studio and doing a couple of days recording and paying for it out of your own money, all of a sudden we’re in the studio where Bob Marley was recording, just off Portobello Road. We did a lot of it there and then some of it at Townhouse, where The Jam recorded. I struggled more with Magnets initially, although appreciating the songs. How close do you think the third LP will be to the first two? In a sense I wonder if it was the sound of that first LP, as much as touring with The Jam, that singled you out as Mods, although I’m not sure you ever were. Maybe you should have branched off, started a solo project, called yourself The Smiths. After New York, I wondered about Australia next. You did well Down Under, so to speak, first time round. How about an Aussie tour next year? Subsequent research reveals that while official records suggest ‘Turning Japanese’ was No. 1 in Australia for barely two weeks (impressive as that is), it was the second-highest grossing single in 1980 there, selling more than 100,000 copies Down Under. And while organising that Aussie return could take some time, in the meantime there’s another trip for Steve with The Shakespearos to Portugal. Well, hopefully that’ll never happen. I’m in denial on all that. 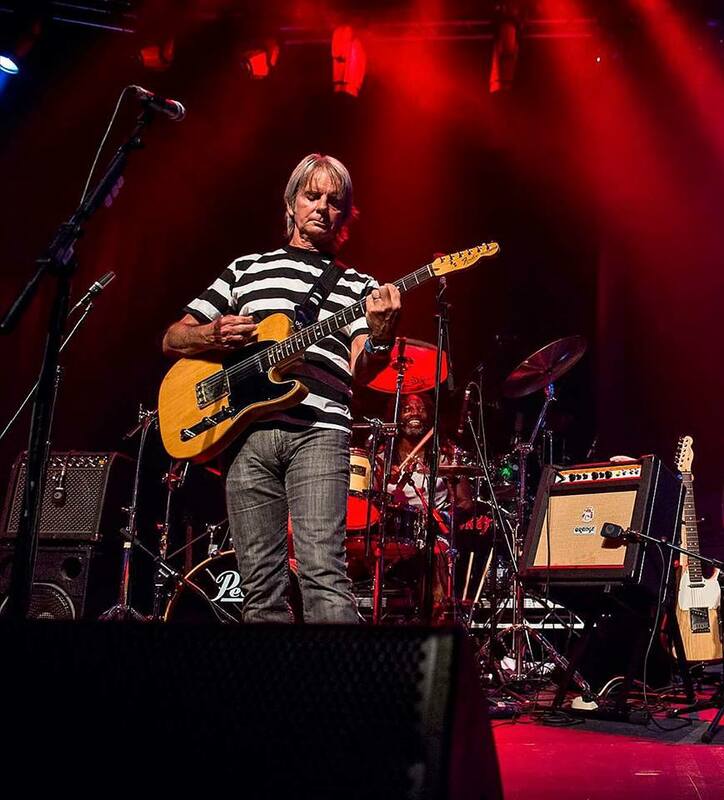 The Vapors’ next dates start with a visit to Manchester’s Ruby Lounge (0161 834 1392) on Friday, June 29th, followed by The Cluny in Newcastle-upon-Tyne on Saturday, June 30th, and the Bungalow in Paisley (Sunday, July 1st). For more dates and to keep up with the band’s latest news, check out their Facebook, Twitter and Instagram pages. For writewyattuk‘s Dave Fenton feature/interview (September 2016), head here. And for our Ed Bazalgette feature/interview (November 2016), try here. This entry was posted in Books Films, TV & Radio, Music and tagged Bruce Foxton, Dave Fenton, Ed Bazalgette, guildford, Howard Smith, Manchester, Michael Bowes, New Clear Days, Ruby Lounge, Shoot! Dispute, Steve Smith, The Absolute, The Clash, The Jam, The Shakespearos, The Stranglers, The Vapors. Bookmark the permalink.